Discussion in 'General WoW' started by Tom Ganks, Mar 12, 2019.
haha you got that too. looks like it isn't that rare. 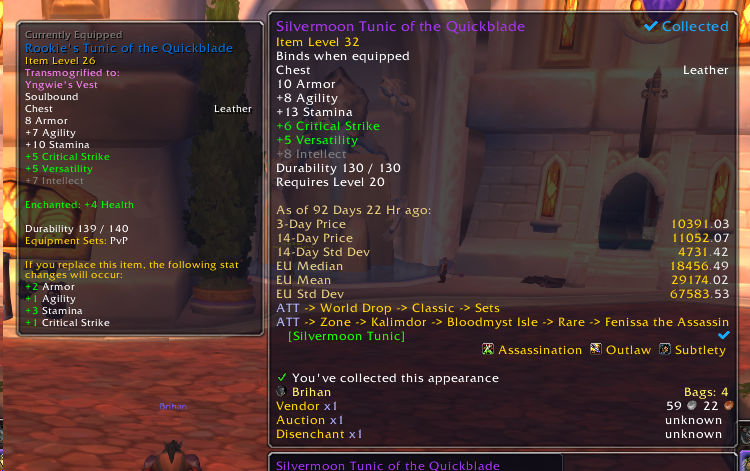 Quick question for the BoEs : Are you all farming at level 20 for ilvl32 pieces or something like 24? 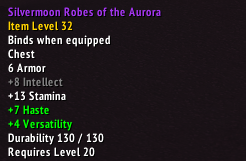 I don't want something to proc epic and have a level requirement of 16/13 like every green does. But at what cost... at what cost..
Congrats! 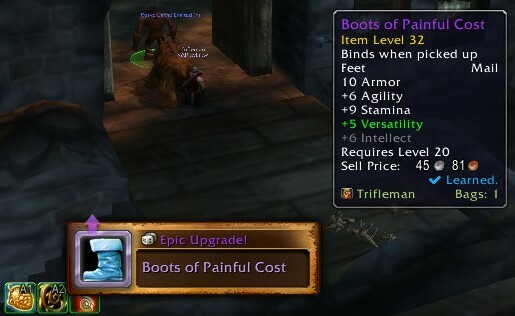 I really wanted those to proc epic for my toon. It's good to see great things happen to great people! i hope no veteran toon dinged accidentally with the free game time. i was lucky enough to collect 10g and turn off my exp before it went live. edit- honestly tho, for 1 point ill live without it. How not to change ? Or it works only from open world elites/quests?